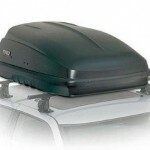 Thule Excursion car top carriers are known for their ruggedness and ability to last a long time through many trips. We have reviewed a couple different Excursion carriers, allowing you to see what the positives and negatives of these two models are. They are somewhat similar, but have some differing user reactions. You may want to read them before deciding which one is best for your situation, if these two carriers are on your buyers radar. 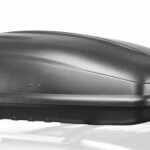 Review: Thule 667TT Excursion Car Top Cargo Box- The Thule 667TT Excursion Rooftop Cargo Box comes with a special Quick Release Hardware that makes mounting fast and effortless on most after-market and factory-installed racks. This cargo box also has a convenient rear opening that gives you access from three sides. Thule was originally established as a brand in 1942, it is a Swedish brand. They have a long reputation of quality products, but the real proof in how well their products do – or don’t – perform can be found in the words of those that have purchased and used their products. Read our reviews to see what owners have to say about these carriers.